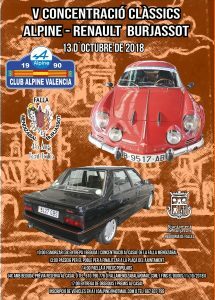 V CONCENTRACION ALPINE-RENAULT EN BURJASSOT 13-10-2018. 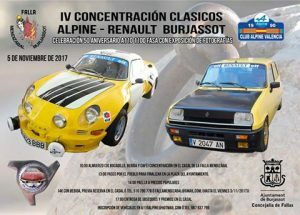 IV CONCENTRACION ALPINE-RENAULT EN BURJASSOT 5-11-2017. 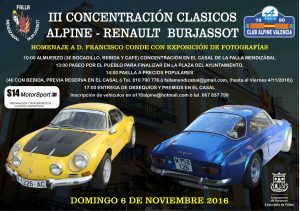 III CONCENTRACION ALPINE-RENAULT EN BURJASSOT 6-11-2016. 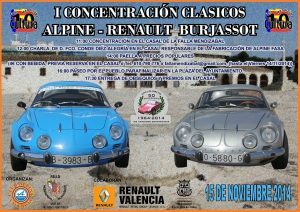 II CONCENTRACION ALPINE-RENAULT EN BURJASSOT 15-11-2015. 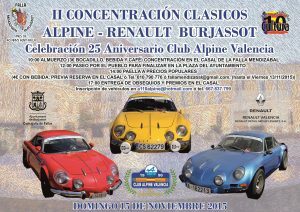 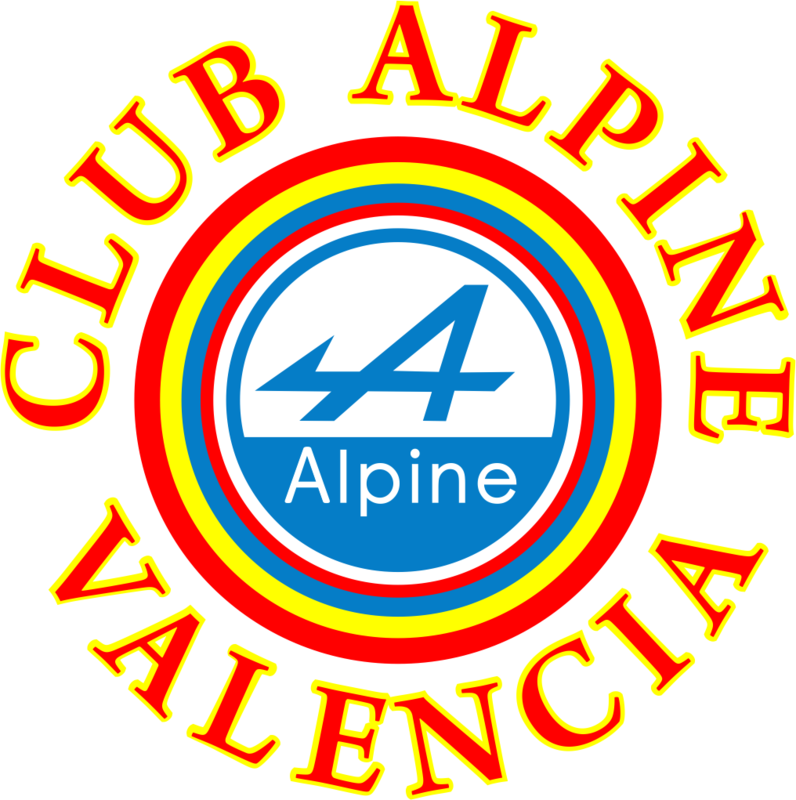 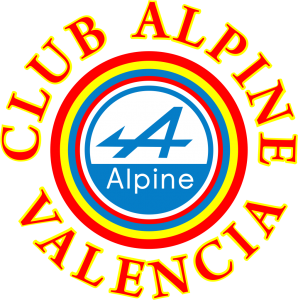 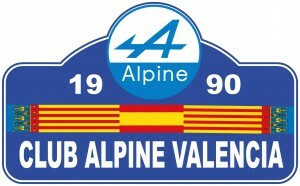 I CONCENTRACION ALPINE-RENAULT EN BURJASSOT 15-11-2014.